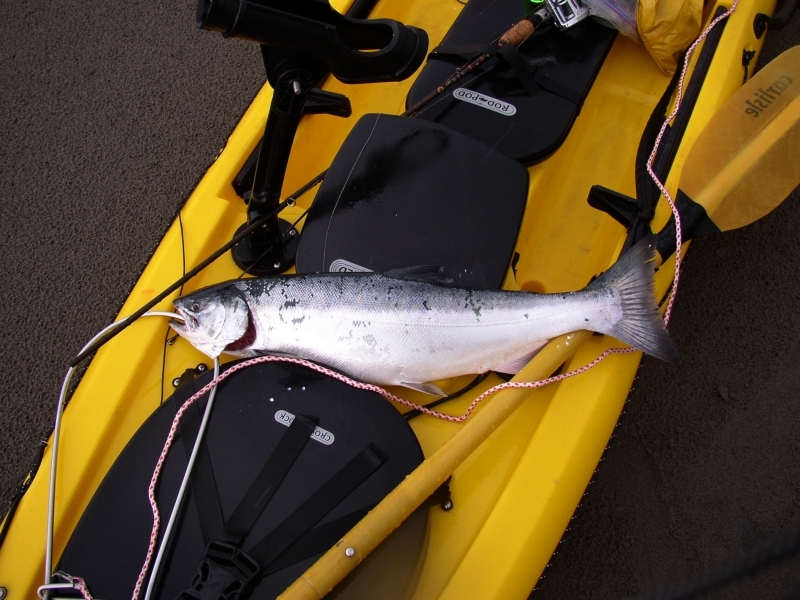 Kayak trolling can be a real drag…. No, not that kind of drag. Rather, the kind of drag that makes you wish you had a rudder and outdrive. While 6oz of weight and a spinning herring are manageable, the addition of a flasher or dodger can easily prove to be too much. Enter the KoneZone flasher. With its slow roll and reduced drag, the KoneZone flasher is perfectly suited to kayak trolling. What sets KoneZone flashers apart from other attractors is the teardrop shape, the multiple offset rigging positions and the variety of configurations available. The teardrop shape reduces the drag produced when trolling and gives KoneZone flashers their smooth action at any speed. As importantly, these flashers impart very little resistance when fighting a fish. This gives you excellent control and nearly eliminates the fishes ability to leverage against the flashers action and throw the hook. Finally, the rounded edges and slow roll slough off debris and significantly reduce line tangles. Each KoneZone flasher has multiple leader attachment points. Utilizing a different attachment point will change the flashers action. In fact, when the leader is connected to the outer most attachment points or the flasher is rigged backward, a KoneZone flasher can take the place of a dodger, imparting action on otherwise static lures such as hoochies. As for configuration, your choices are limited only by your imagination. 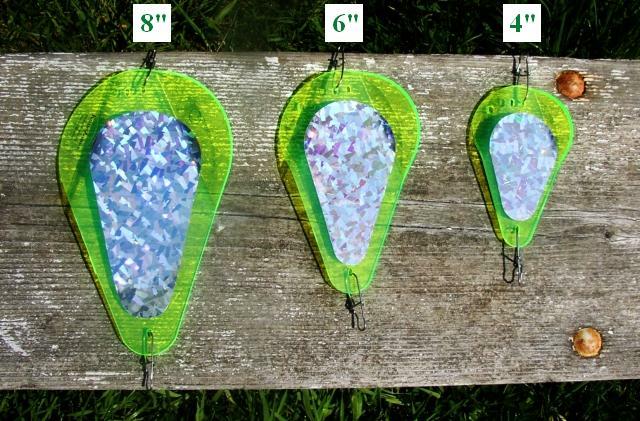 KoneZone flashers come in 4 sizes, from a trout sized 4” to a King catching 9” in length. KoneZone flashers can also be purchased as a stepped daisy chain for down rigger fishing. If ordered directly from http://www.konezone.com/, you can configure your flasher in 1 of 14 different blade colors and 16 different tape colors with several band specific UV reflective colors available. 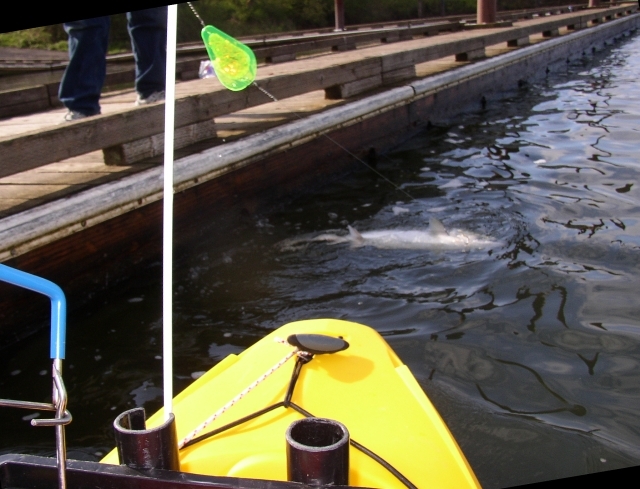 KoneZone flashers from IRC Inc., a Hillsboro Oregon company, were developed specifically for targeting Columbia River salmon. Since their introduction they’ve proven their worth on several species from Alaska to California, Florida to the Great Lakes and beyond. My personal field test, with a 6”, Chartreuse UV KoneZone flasher in the off color waters of the Multnomah Channel this spring confirmed the hype. - While it did require a one ounce increase in weight to keep my bait on the bottom, there was noticeably less drag than I’d experienced with other flashers of this size. - Even with all the debris floating down the river this year, I never once had to clear the flasher or bead chains. - With the flasher just below the surface, I observed a smooth roll from 0.5MPH up to 3.5 MPH with none of the bucking, fluttering or planning sometimes observed in other flashers. - The real clincher though came when I was able to pluck a 25lb native out of a 4 lane, nose to tail traffic jam of powerboats. Even thru the multiple drag burning runs and powerful head shakes the KoneZone flasher was barely noticeable. The final assessment? If you’re kayak trolling expansive or off color waters, KoneZone flashers are an efficient and effective way to get your bait noticed. I can’t wait to try them in the ocean for Coho and at Buoy 10 for Chinook! Update: I caught this silver in the salt running a Coyote Spoon behind a 6" KoneZone.